Blaming someone for the ways they hurt you or pointing out what they did wrong only makes you look bad. It certainly does not endear them to you. Playing the victim will never get you what you want, just the opposite. The best way to get someone to do what you want is to inspire them to want to do it for you. Allow yourself to be vulnerable by sharing how you feel, using “I” statements and asking for what you want or need. It’s never about what your partner did or didn’t do, it’s about what you want him or her to do. No one likes to be criticized, scolded, or blamed, it only makes them defensive and pushes them away. If your partner has told you it’s over and you feel you’re never going to see him again, then he definitely doesn’t need to know how you feel. Maintain your power! If you pour your heart out to him in an e-mail, or constantly send emotional texts, you’ll just squash any positive feelings he may still have. Both men and women have told me that they think their jilted lovers are crazy when they send e-mails pleading their case about why the relationship works when they have already been told that it doesn’t work for their ex-partner. You have to respect an ex’s boundaries. If you genuinely think you might be able to work it out, then you need to do that face-to-face, or at the very least on the phone. It needs to be a two-way conversation so you can be sure your feelings are acknowledged. E-mails and texts will leave you vulnerable because no response is required. They set you up for more anxiety waiting and hoping for a response. Please don’t do that to yourself. If your ex is not willing to talk about it further, then he or she is not worth any more of your precious time. Instead of wasting your time playing the victim focus all of that frustration and energy on becoming the best version of yourself. 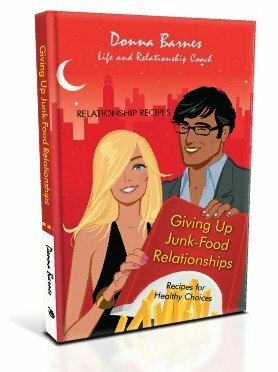 Get to the gym, go for a run, and read some self-help books to help your next relationship be even better. Keep telling yourself you don’t want someone who doesn’t want you! You can find someone better if you keep your thoughts in the present and only look forward, not back.